C.R. 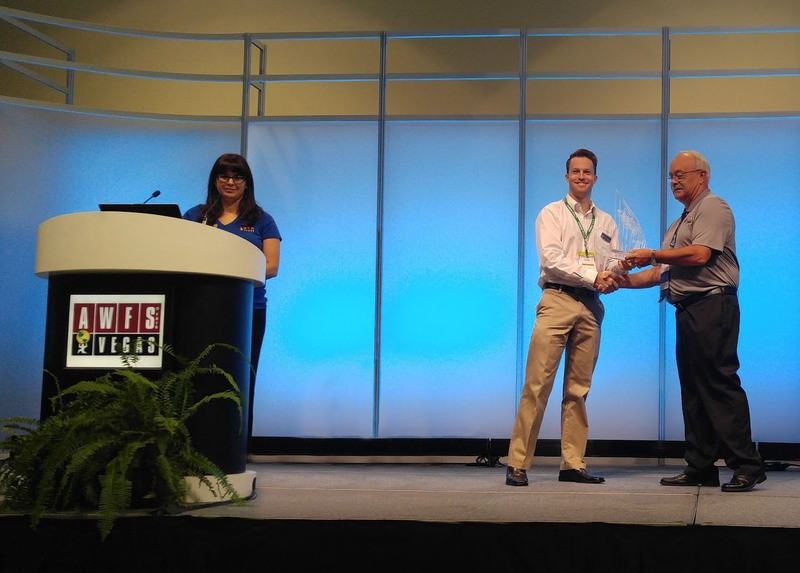 Onsrud says the wood industry stood up and took notice when the Visionary Awards were handed out at the 2017 AWFS Fair show last month. C.R. Onsrud claimed the Industry 4.0 category win with Osync Machine Analytics 2.0, an open-architecture software that gathers operational data from machines in the field. 2017 marked the first time an award was given away in this category, and the C.R. Onsrud development team says it is proud to have this achievement recognized by the whole industry. The company went through beta-testing with several key customers before the initial release to the public, and Version 2.0 takes this software to a new level. Production managers now have a customizable interface providing both real-time and archived data about machine stability and performance. It’s smart-technology managing big-data to streamline and improve the manufacturing process. “Osync Machine Analytics is not simply a monitoring software – we’re collecting machine performance data and using complex algorithms to offer predictive analytics,” stated Jeff Onsrud, who played the key development role in the technology. Jeff Onsrud's development role on Osync was cited in his win of the 2017 Wood Industry 40 Under 40 Award at AWFS Fair on July 18. During AWFS, the open-architecture platform monitored the machinery in the Onsrud booth – as well as the machinery of new strategic partner, the IMA Schelling Group. The third partner in this alliance, Eurosoft, integrates Osync into workflow software so end-users realize even greater functionality in terms of predictive capabilities. The three companies - known for their innovation and high-performance products - have formed the Alliance for Integrated Systems (A4IS), and are excited about the collaboration already being realized through this alliance and believe manufacturing facilities will benefit greatly from the valuable information the award-winning Osync 2.0 extracts from the complete work-cell solutions they are configuring.